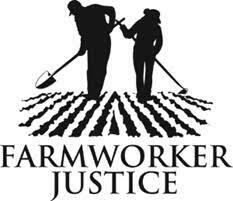 Farmworker Justice (FJ) is a national non-profit organization based in Washington, DC that supports farmworkers to improve their health, occupational safety, living and working conditions, and access to health care. Using a multi-faceted approach, FJ engages in capacity building assistance, health promotion, leadership development, public education, and advocacy. FJ’s key areas of expertise are policy and coalition building.